If you ask is it ok for my dog to indulge in unwanted chewing then the answer to this is absolutely “NO”. Many times pups or dogs are inclined to destructive gnawing with pet parents left with no idea why on earth do their furry pals are on to this mission of chewing. Many factors play their role in pushing the pooches to chewing and it is definitely a bad thing. Puppy chewing is a different thing as it is the part of their growing process which is connected to the teething process, whereas adults often get onto this act just to kill their boredom or to have some fun. However, at times it takes a wrong turn and becomes a destructive chewing habit. When finding such behavior, you need to work to redirect their destructive gnawing to something more helpful for them. When you find that your puppy or dog is gnawing constantly on whatever he gets, it is high time that without jumping on any conclusions, first find the medical reasons behind this behavior. Many times nutritional deficiencies due to poor diet or unhealthy food, or intestinal parasite can lead to pica – which is characterized as craving for non-edible items and this is misunderstood as chewing. Even gastrointestinal problems can also induce unwanted chewing as a coping mechanism. Therefore, it is always crucial to seek your vet’s advice. Taking an appointment with your vet will help you diagnose the right cause behind your pooch’s chewing habit. Checking on the behavior of your pooch, you need to also revamp their living environment. Same as child proofing, we all know about “puppy proofing” our homes. Keeping shoes in the closet, dumping laundry in washing bag, keeping small things in a basket on the table or putting in the crate are some of the things which you to avoid unhealthy chewing. However, the same thing is applied to adult dogs, which we mostly tend to forget. 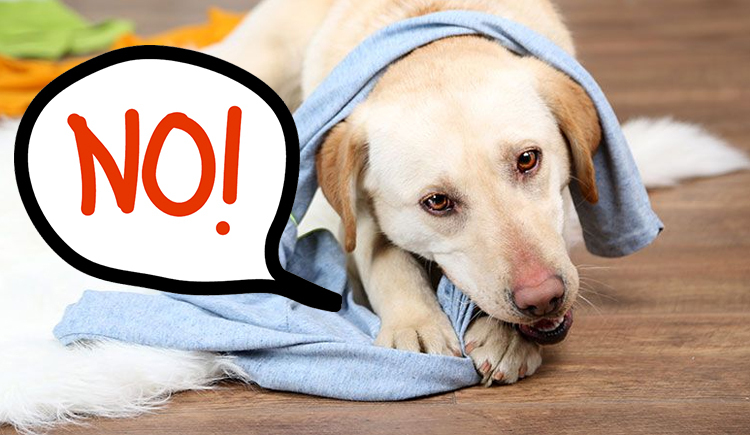 If suddenly you notice that your dog is chewing on a rug or any unwanted material, don’t shout on them. Rather, coolly and slowly remove that piece and give him a chew or a chew toy to continue with his act. Stuffed chewing toys are highly helpful and you will love to watch them enjoying their chew. You can also opt for healthy stuff like dog supplies and dog supplement chewables as a treat when it feels like playing and chewing. Many pups have certain time of the day, when they start chewing, knowing this indulge a chewing toy before your pet sets on any other thing. Chewing repellants are one of the most effective things to stop your pooch from unnecessary gnawing. You can keep your puppies and dogs away from chewing by spraying apple cidar spray or any of the bitterants. When they find particular thing unpleasant, they are likely to avoid gnawing that material. Not only for humans, but also for canines, exercise is a powerful gateway for the optimal health and good behavior. 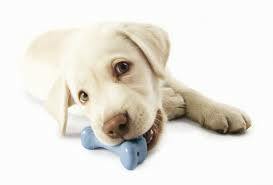 Exercising dogs who are prone to unwanted chewing or destructive behavior is highly beneficial. A tired pup or dog is left with no energy to get onto chewing. Moreover, exercise produces chemicals such as endorphins which provide a calming effect. Rarely, tearing things apart or constantly gnawing can be the sign of some innate problems such as separation anxiety. If you sense a little bit of this problem, just book an appointment at the earliest and get the best treatment. Dogs are the semaphore of love and they do need to be loved. Providing quality time and engaging them with you constantly can turn them away from this destructive behavior. Our bad behavior like shouting, slapping on the face or hitting him with a thing may not only leave a mark on him physically but also mentally. To make him behave properly, you need to first learn to behave in an appropriate manner with your four-legged companions. Nothing can work better than love and petting to control or divert your pooch from this destructive behavior. If turning to gnawing is what your pooch tends to then making him leave this behavior is what your aim should be as a responsible pet parent. Your love, little home management, a quality time with playing games and exercising along with treats and chew toys all together can definitely help you attain your goal of stopping your pup or dog from bad chewing. Not Sure How To Inspect Your Pet’s Teeth & Gums? Easy Step Guide To Do It Right!